So where to start? I guess we would need some kind of a software development kit. Seems all the required tools can be found from the Nokia Developer site (http://developer.nokia.com/Devices/MeeGo/). 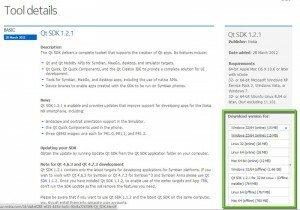 Qt SDK 1.2.1 is the tool we need. There are versions for Windows, Linux and Mac operating systems, as shown below. Ok, as I’m currently running windows 7, I’ll select the first option. For other Qt SDK sources please take a look at the MAEMO.ORG discussion forum, e.g. 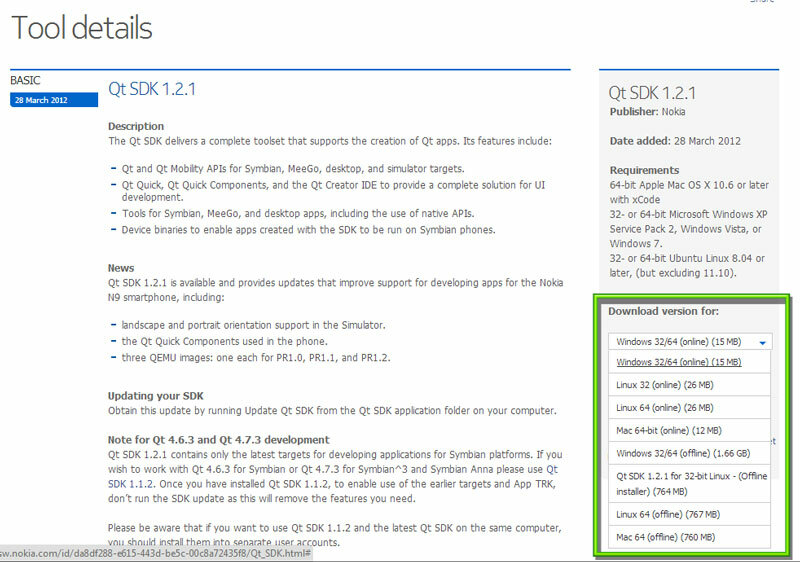 The Qt SDK 1.2.1 offline installer is no longer available in the developer.nokia.com site. As I have previously downloaded both windows and linux versions of the offline installer package I will make those copies available via this site. For more information please see the page Install QtSDK 1.2.1 with the offline installer.